In a medium bowl, mix peanut butter, butter, vanilla, and confectioners’ sugar with hands to form a smooth stiff dough. 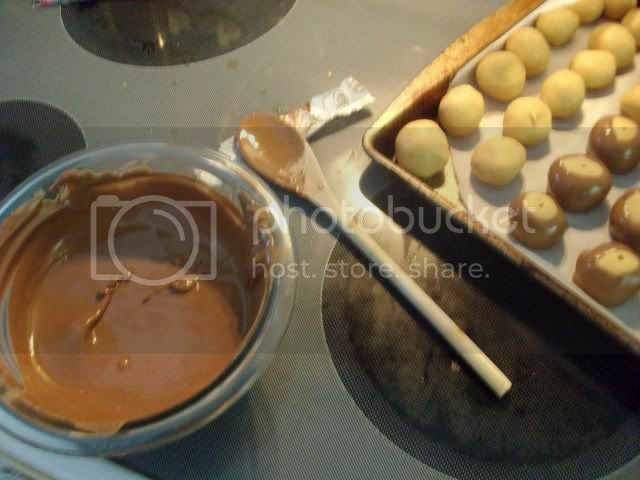 Shape into balls using 2 teaspoons of dough for each ball. Place on prepared pan, and refrigerate. Melt chocolate in a metal bowl over a pan of lightly simmering water (or in the microwave according to directions on package.) Stir occasionally until smooth, and remove from heat. Remove balls from refrigerator. 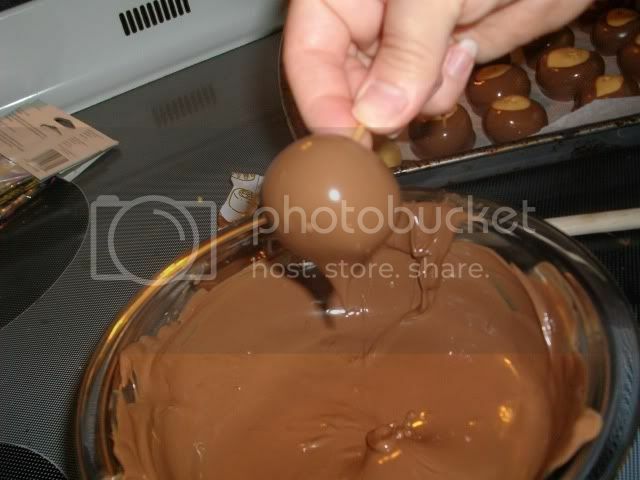 Insert a wooden toothpick into a ball, and dip into melted chocolate. Return to wax paper, chocolate side down, and remove toothpick. Repeat with remaining balls. Refrigerate for 30 minutes to set. These look fabulous and so easy to make!! I am going to give them a try! Thanks for sharing!